Opt For Reconstituted Stone Benchtops For Your Kitchen To Look More Modern And Elegant! These days, a kitchen should be both practical and beautiful at the same time and luckily, you don’t have to invest a fortune in a kitchen remodeling project in order to achieve the desired results. For example, by simply changing the kitchen countertops with reconstituted stone benchtops, you can considerably improve the design of your kitchen and make it more modern and elegant. Here are a couple of features of those quality products. Everyone knows that natural stone countertops look exquisite, but they can be quite expensive and they also need constant maintenance and care in order for their beautiful aspect to be preserved. On the other hand, reconstituted stone benchtops are less expensive and they require little to no maintenance as well, making them the perfect alternative to natural stone countertops. This is another great advantage of reconstituted stone benchtops and you should invest in these products, especially if you spend a lot of time in your kitchen, preparing delicious meals for your family. Reconstituted stone benchtops are made from quartz or granite granules mixed up with different types of resins or polyester bases. As a result, they become much stronger, tougher, harder and more resistant to external damaging factors. You might be happy to know that reconstituted stone benchtops are available in many designs and colors on the market and you should take advantage of this in order to create a stunning, aesthetically pleasing kitchen décor. Make sure that you don’t rush your decision when buying reconstituted stone benchtops and you try to match their color and style with the design of your kitchen. 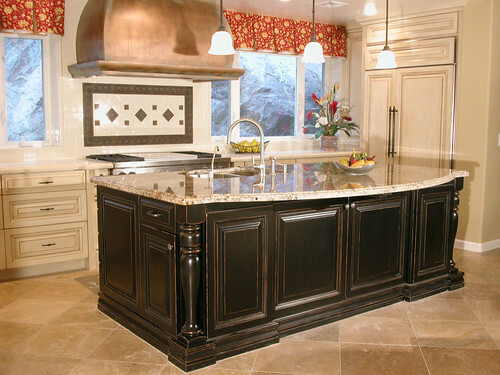 You probably already know that if you want to preserve the beauty and design of your natural stone kitchen countertops, you might need to seal them on a regular basis. For example, marble countertops require this process and it doesn’t come for free. On the other hand, reconstituted stone benchtops look very similar to natural stone and you don’t have to seal them at all! These products are extremely flexible and the professionals can tailor them according to your needs and preferences. For example, if your kitchen work surfaces features curved edges, reconstituted stone benchtops are perfect in this case and they can be installed with minimal effort and in a short amount of time. The end result will look absolutely gorgeous and keep in mind that you won't get such an advantage from natural stone countertops. As you can see, reconstituted stone benchtops are really worthy of your time, attention and money. They will also increase the value of your house and your guests will be pleasantly impressed when they will step into your kitchen. If you want to reap all the benefits of reconstituted stone benchtops then contact us today and find out more!